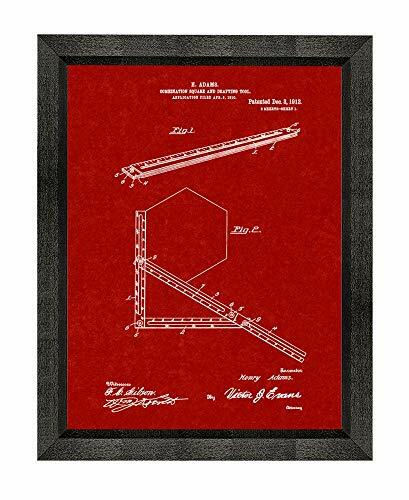 This Framed Combination Square and Drafting-tool Patent Print comes in a Beveled Black Wood Frame.Own a piece of History with this great Drawing reproduced from the original US Patent for a Combination Square And Drafting-tool. It was invented by Henry Adams and filed on April 5, 1910. It was issued on December 3, 1912 by the United States Patent and Trademark Office.This Frame is not plastic, not fiberboard, not artificial wood, but real Wood. It is made from solid Poplar Hardwood with an Ebony stain finish that includes a subtle wood grain pattern. It features a 0.84" width and is 0.56" tall off the wall.Each Patent Print is printed on premium heavyweight paper with archival inks that will last many years to come!This Framed Patent Print is easy and ready to hang. It will make a great piece of Artwork for any Wall.Made in USA! 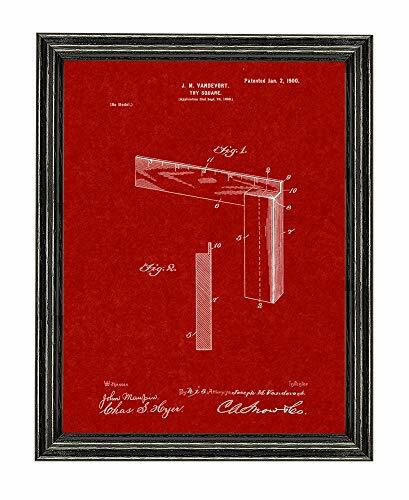 This Framed Bevel and Square Patent Print comes in a Beveled Black Wood Frame.Own a piece of History with this great Drawing reproduced from the original US Patent for a Bevel And Square. It was invented by Albert C. Cullmann and filed on March 3, 1902. It was issued on September 9, 1902 by the United States Patent and Trademark Office.This Frame is not plastic, not fiberboard, not artificial wood, but real Wood. It is made from solid Poplar Hardwood with an Ebony stain finish that includes a subtle wood grain pattern. It features a 0.84" width and is 0.56" tall off the wall.Each Patent Print is printed on premium heavyweight paper with archival inks that will last many years to come!This Framed Patent Print is easy and ready to hang. 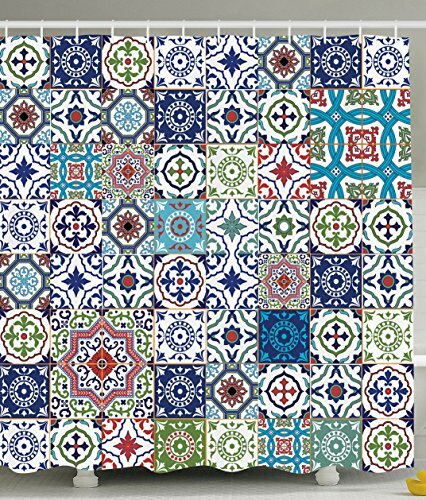 It will make a great piece of Artwork for any Wall.Made in USA! Artwork is printed on real canvas and then stretched over a wooden frame for a classic gallery look. 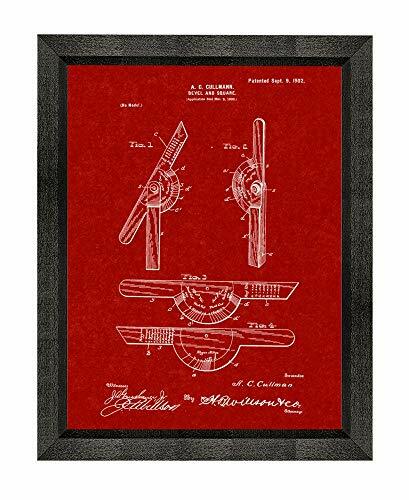 This Framed Try Square Patent Print comes in a Black Wood Frame.Own a piece of History with this great Drawing reproduced from the original US Patent for a Try-square. It was invented by Joseph M. Vandevort and filed on September 22, 1899. It was issued on January 2, 1900 by the United States Patent and Trademark Office.This Frame is not plastic, not fiberboard, not artificial wood, but real Wood. It is made from solid Biltmore Ash Wood with a semi-gloss finish that includes rich wood grains throughout. It features a 0.76" width and is 0.57" tall off the wall.Each Patent Print is printed on premium heavyweight paper with archival inks that will last many years to come!This Framed Patent Print is easy and ready to hang. It will make a great piece of Artwork for any Wall.Made in USA! 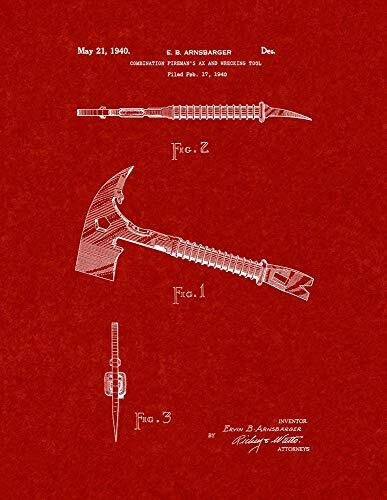 This is a reproduction of the original Patent for a Combination Fireman's Ax And Wrecking Tool.It was invented by Ervin B. Arnsbarger and filed on February 17, 1940. It was issued on May 21, 1940 by the United States Patent and Trademark Office. 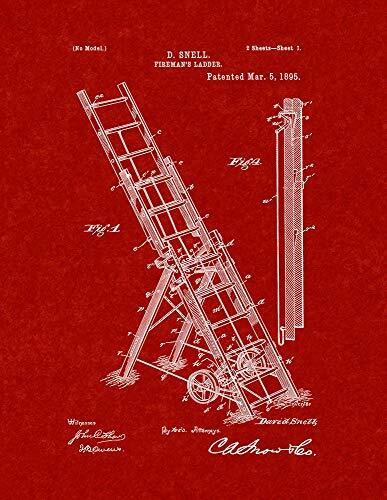 This is a reproduction of the original Patent for a Fireman's Ladder Patent Print.It was invented by David Snell and filed on February 23, 1894. It was issued on March 5, 1895 by the United States Patent and Trademark Office. 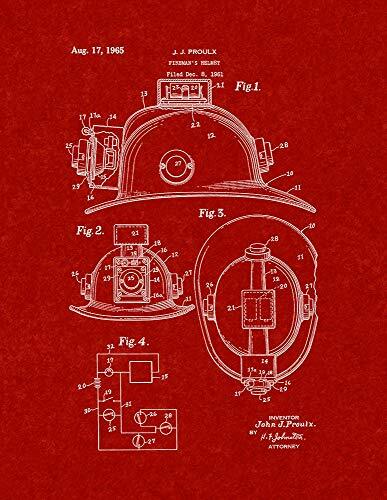 This is a reproduction of the original Patent for a Fireman's Helmet.It was invented by Proulx John J and filed on December 8, 1961. It was issued on August 17, 1965 by the United States Patent and Trademark Office. 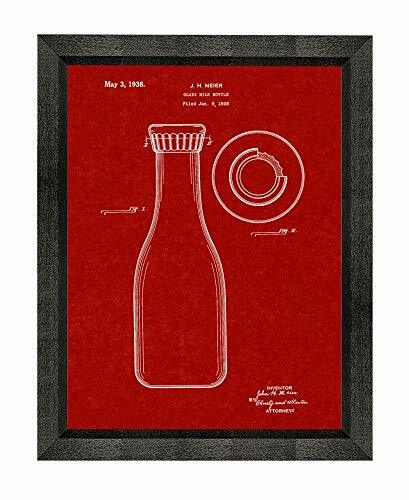 This Framed Design For A Glass Milk Bottle Patent Print comes in a Beveled Black Wood Frame.Own a piece of History with this great Drawing reproduced from the original US Patent for a Design For A Glass Milk Bottle. It was invented by John Meier and filed on January 9, 1937. It was issued on May 3, 1938 by the United States Patent and Trademark Office.This Frame is not plastic, not fiberboard, not artificial wood, but real Wood. It is made from solid Poplar Hardwood with an Ebony stain finish that includes a subtle wood grain pattern. It features a 0.84" width and is 0.56" tall off the wall.Each Patent Print is printed on premium heavyweight paper with archival inks that will last many years to come!This Framed Patent Print is easy and ready to hang. It will make a great piece of Artwork for any Wall.Made in USA! Looking for more Burgundy Red Art Print similar ideas? Try to explore these searches: Balsamic Dressing Ingredients, Golf Straight Jacket Bag, and Beanie Snow. Look at latest related video about Burgundy Red Art Print. Shopwizion.com is the smartest way for online shopping: compare prices of leading online shops for best deals around the web. 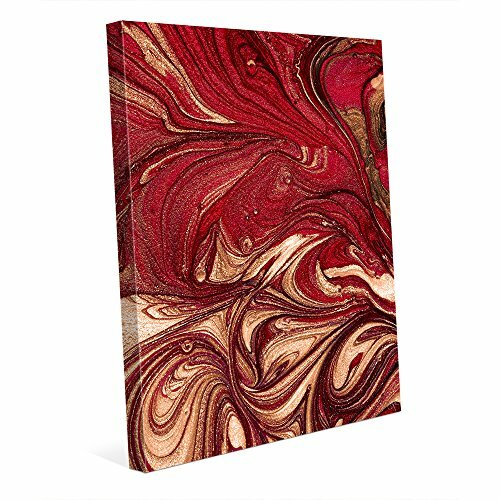 Don't miss TOP Burgundy Red Art Print deals, updated daily.